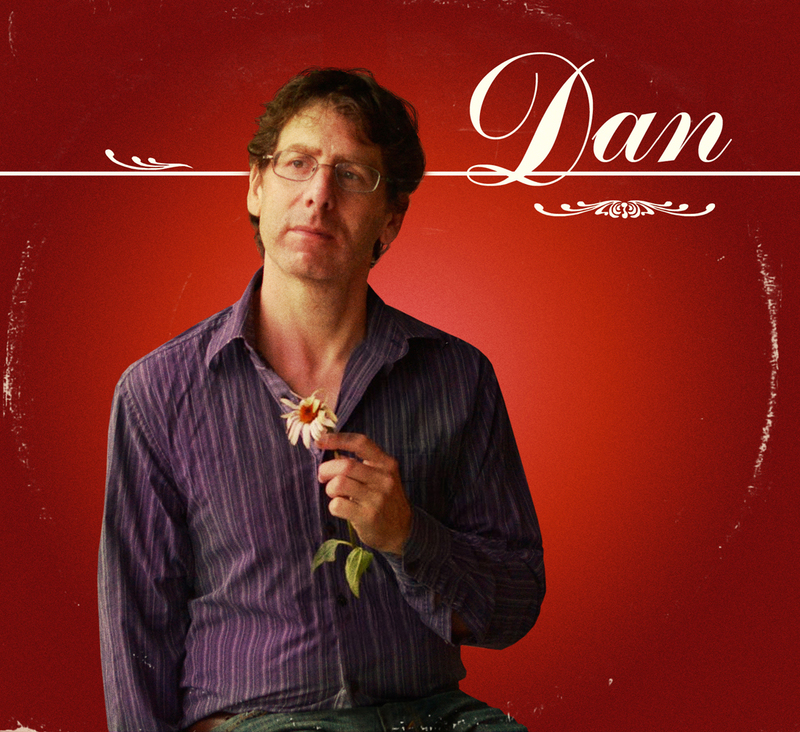 Dan is Dan Israel’s 13th album of originals. He has won awards, written and recorded songs, shared the stage with big name acts, and crafted a musical career that has spanned a couple decades. I first connected with Dan when I was publishing Geoff Wilbur’s Renegade Newsletter in the ’90s/early ’00s. Of course, I took a dozen-year hiatus from writing about music. When I returned, who was one of the first people to reach out to me? Dan Israel, of course, who had taken no such hiatus; he had been continuing to churn out top-shelf new music while I was away. My first instinct when describing a folk singer with a raspy voice is to invoke Bob Dylan, though this album leans toward the Americana end of folk, and if I had to offer you a vocal comparison to Dan Israel, I’d say Tom Petty’s raspy voice is actually more apt. And while some tracks lean significantly folk or a bit more Americana, there are also some serious electric rock guitar riffs on Dan. Dan explores several different elements of his musical repertoire, in fact, producing a cohesive disc with enough variety to sustain frequent listens. Album-opener “Winter is Coming” feeds my initial instinct, though, as Dan’s vocals fall between Dylan and Croce on this particular track. With judicious use of female accompaniment on this track, it provides Dan with an upbeat, toe-tapping start. “Be With Me” cranks the energy up a notch, with a melody and vocal growl especially reminiscent of Petty. If I had to single out a track with the greatest mainstream hit potential, “Be With Me” would be it. Another notable track is “Can’t Believe It,” which draws the listener in with light distorted guitar and an initial emphatic “I…” before blending Israel’s vocal style with an almost “Lyin’ Eyes”/Eagles-ish melody. To engaging effect, I might add. Dan will have you singing “ahh-ahhh” along with “Lonely Too,” a toe-tapper of a mid-tempo crooner that deftly mixes mildly energetic verses and traveling instrumental bridges with that lower-key-but-hooky chorus. “Try and Let You Know,” meanwhile, provides a melancholy interlude; here Dan’s vocal expressiveness convincingly depicts the pain in the lyrics, as the song plods slowly, though at exactly the ideal pace for the subject matter. Also, for a nice change of pace, Dan tosses in the occasional rockin’ country guitar lick (and slightly more frequent slide guitar) on mid-paced “Winning at Solitaire,” giving it a soft rockabilly/country dance hall flavor unique among this collection. If you’re a folk aficionado, I’m sure you’ll enjoy this album. Dan Israel’s an experienced, talented individual with an inspired new release; the man always delivers. And from the energy of his recordings, you get a sense his shows are probably fun events, as well. Since I suspect Dan’s shows are well worth seeing, let’s take a look at his upcoming calendar. Listed along the lefthand side of Dan’s website, it looks like he has a few gigs already scheduled in the next couple months in and around the Twin Cities: Tonight, Friday, Jan. 22nd at Public Kitchen and Bar in St. Paul, MN; Friday, Jan. 29 at LTD Brewing in Hopkins, MN; a to-be-announced “mystery gig” on Saturday, Feb. 6th; Friday, Feb. 12th at the Tavern Lounge in Northfield, MN; Friday, Feb. 26 at Harriet Brewing in Minneapolis; and Saturday, March 19 at the Chankaska Winery in Kasota, MN. Of course, check his website for times, links, and additional dates. This entry was posted in Album Reviews and tagged Album Review, Dan Israel, Geoff Wilbur. Bookmark the permalink.